Be the master of your mane! #junesays we love being part of the online booking reserva family! #junesays thank you all for nominating your hairdresser on fire for 'Best Salon' in Now Magazines 2018 Readers Choice Poll! #junesays we are thrilled to have the pleasure of CHATELAINE featuring our seasonal approach to choosing a haircut! #junesays having a real ‘pinch me’ moment of total hairapy over here thanks to blogTO! #junesays what a sensational way to start July thanks to you all for your votes of confidence! #junesays Massive props to blogTO for this huge hair honour shared with some stellar hairos! #junesays what an extra stellar start to September thanks to Toronto Life’s Stylebook for featuring this happy hairdresser a fourth year running oh my!!! 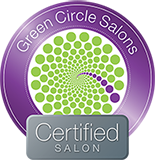 #junesays I’m tripping fantastic over here to be nominated a second lucky time for ‘Best Hair Salon’ in Now Magazine’s 2016 Reader’s Choice Awards!